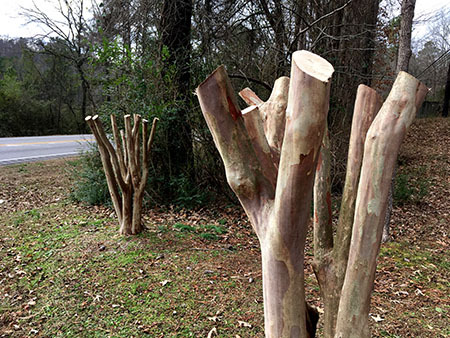 Learn the correct guidelines to pruning trees and shrubs, how to eliminate “crape murder,” and the best ways to remove unwanted limbs and stems to bring new vigor to your landscape. Aldridge Gardens’ Executive Director Rip Weaver will teach participants how to correctly prune crape myrtles and other ornamentals. Using branches from the grounds, he'll demonstrate and show you how to correctly prune some of our favorite shrubs and specific landscape plants. Bring hand pruners to get a feel for how it should be done. This form stopped accepting submissions on January 23, 2019 4:00 pm CST.